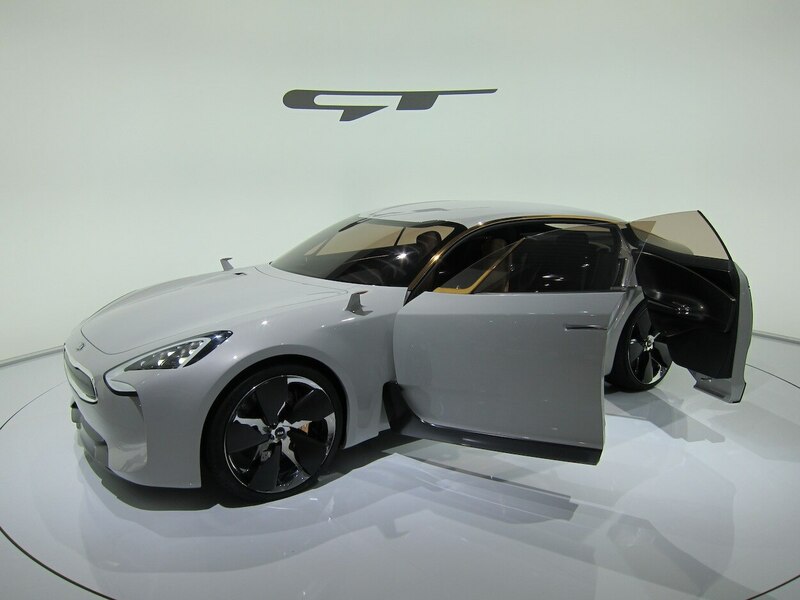 After weeks of teasing, Kia is officially unveiling its much-anticipated Kia GT Concept at the 2011 Frankfurt Auto Show. 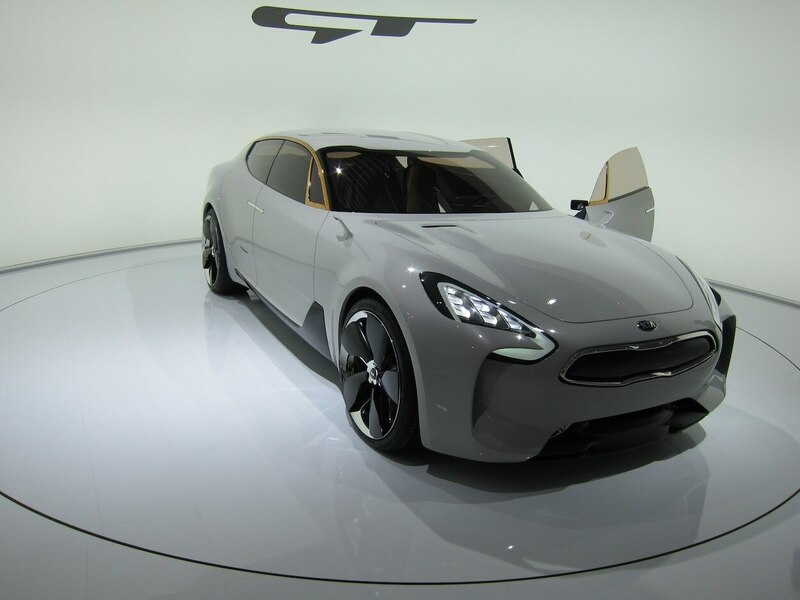 The GT concept represents the Korean automaker’s first attempt at designing a rear-drive car with show-stopping looks and a powerful V-6 for good measure. 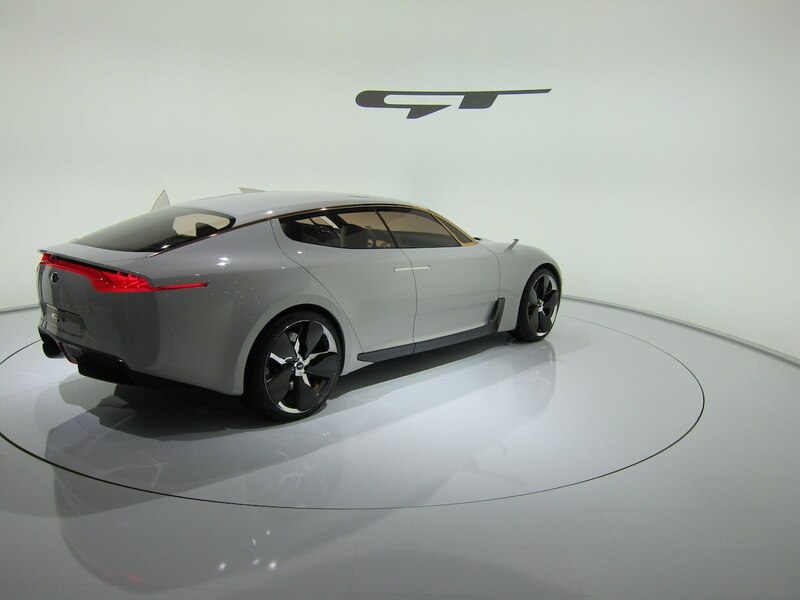 The GT Concept, which no doubt is squarely aimed at the burgeoning four-door coupe market, is powered by a turbocharged, direct-injected 3.3-liter V-6 producing 390 hp and 394 lb-ft of torque. 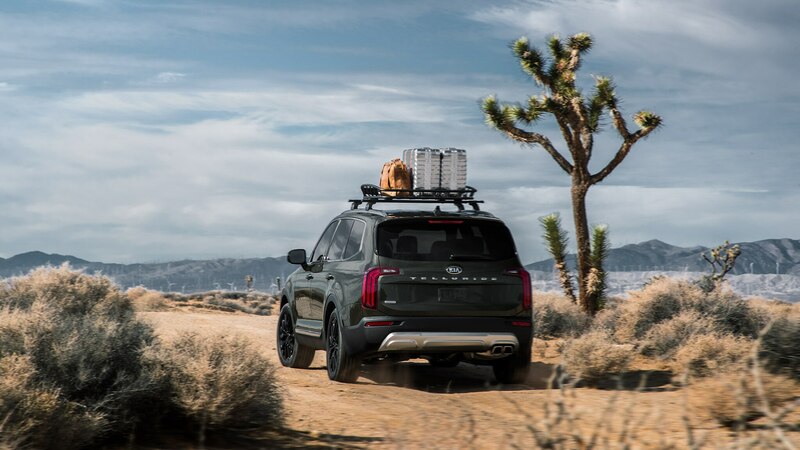 An eight-speed automatic transmission sends that power to the rear wheels, which stand 112.6 inches from the front wheels. 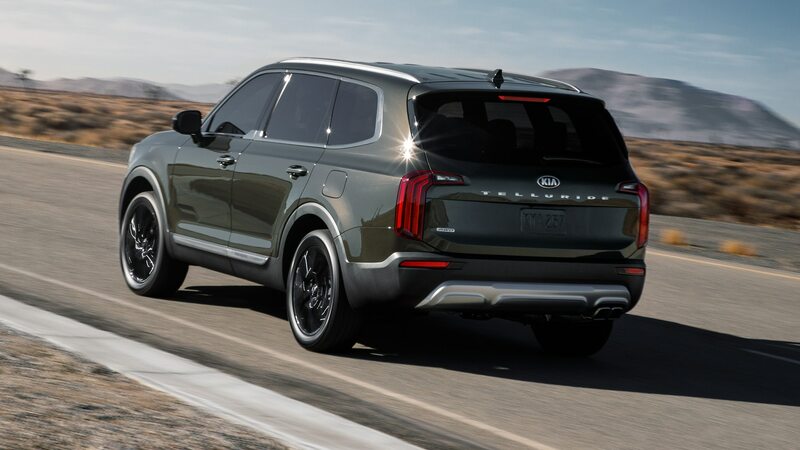 At 184.6 inches long and 54.3 inches tall, the car’s low-slung stance and profile contribute to its sporty look. 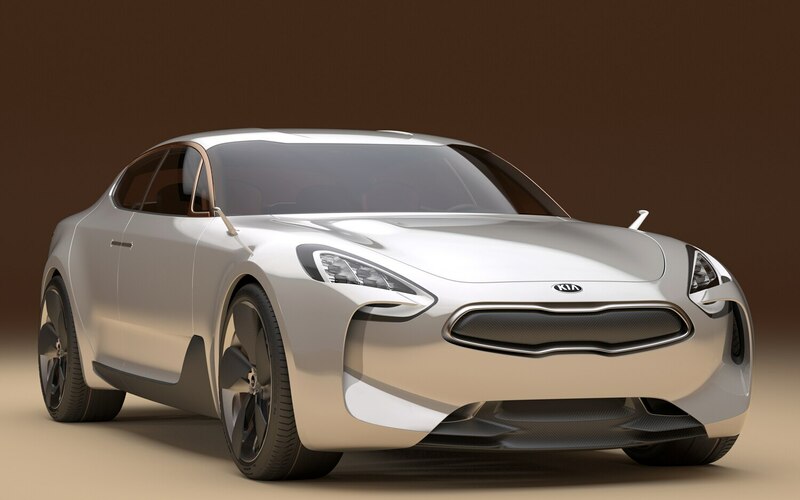 From the get-go, the Kia GT’s design team wanted to ensure that the concept couldn’t be mistaken for anything but a rear-drive sedan. 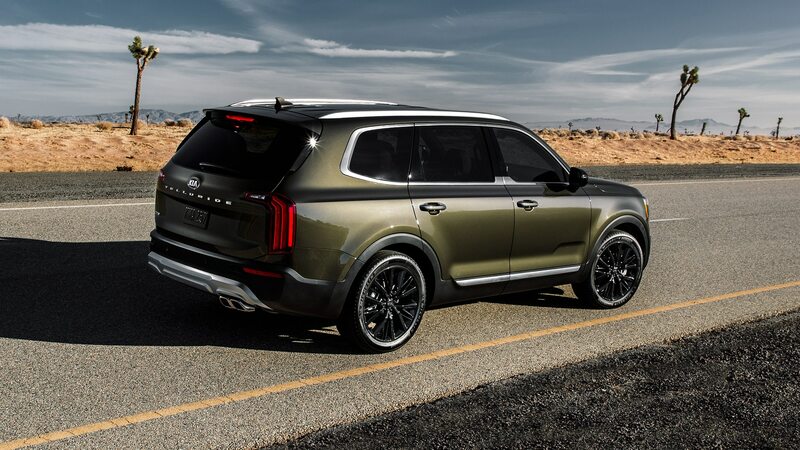 The results are an elongated hood, short front overhang, and bulging rear shoulders that emphasize the car’s overall cab-rearward design. 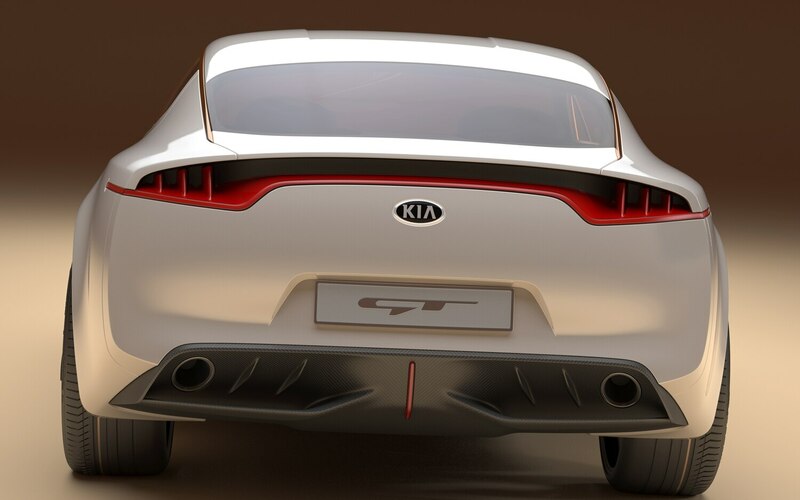 For inspiration, Kia says it turned to 1970s-era GT cars, an influence that can be seen in the Kia GT’s truncated rear end. 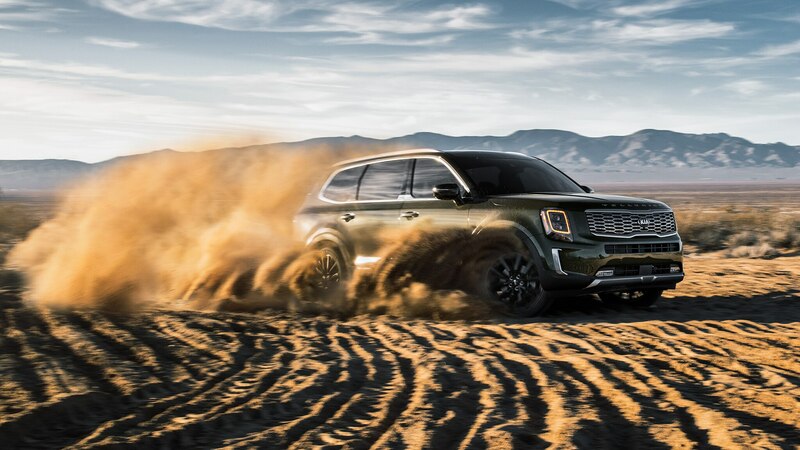 The car’s styling is also influenced by aeronautical design, with a vent-heavy front valance and concept-style, propeller-like wheels. 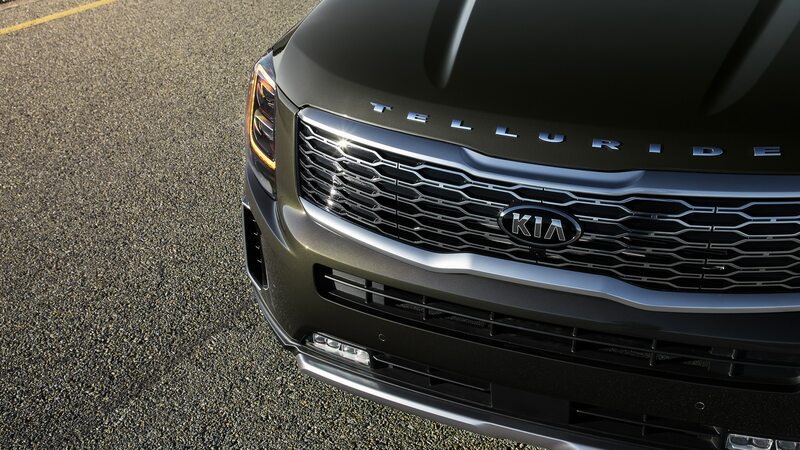 The front end borrows slightly from the Kia Kee concept of 2007, with the lines of the large front intake vents molding into, and in this case, overlapping, the LED headlights. The wheels are a multi-piece design, and feature lightweight alloy and carbon-fiber construction. Carbon fiber also appears to be used heavily in the rear diffuser, which should help stabilize airflow beneath the car. In place of side mirrors, a pair of sleek, jet-age rearview cameras jut out of the front fenders like fins on an airplane. 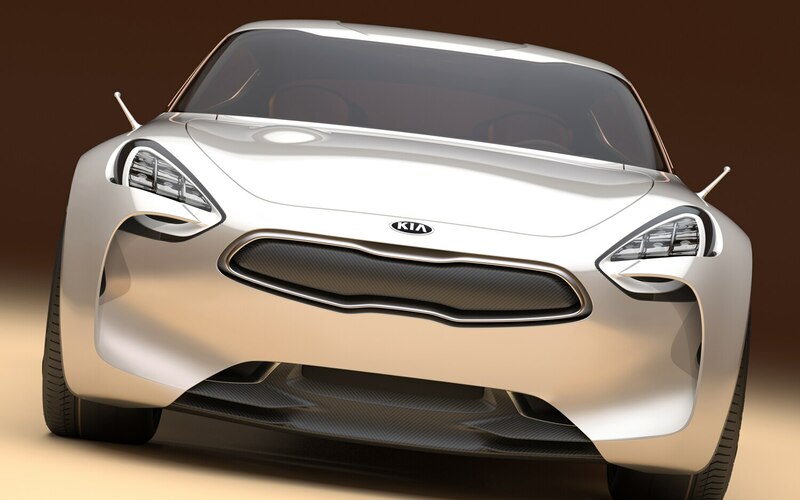 Copper is yet another running theme with the Kia GT, as the metallic color recurs several times on the concept. 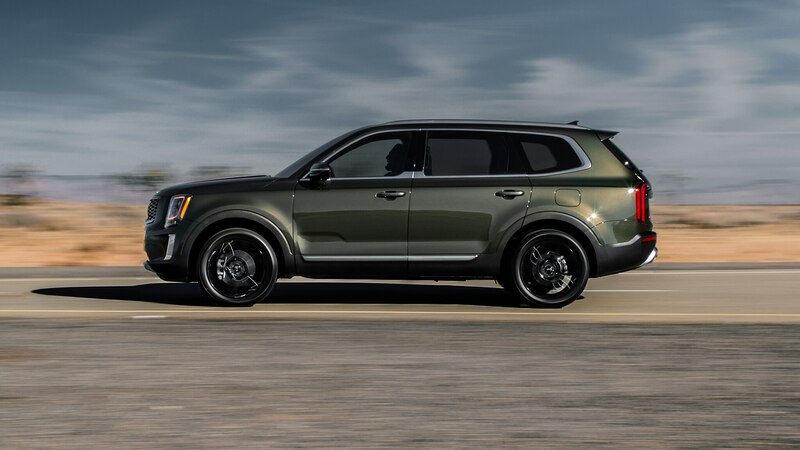 Copper-colored trim is used to highlight the car’s sloping rear roofline, and flows from the A-pillar all the way to the bottom of the rear window. The brake calipers are also finished in copper. To accentuate these details, the glass used for the windshield and windows is tinted an equally shiny, but brighter, gold tone. 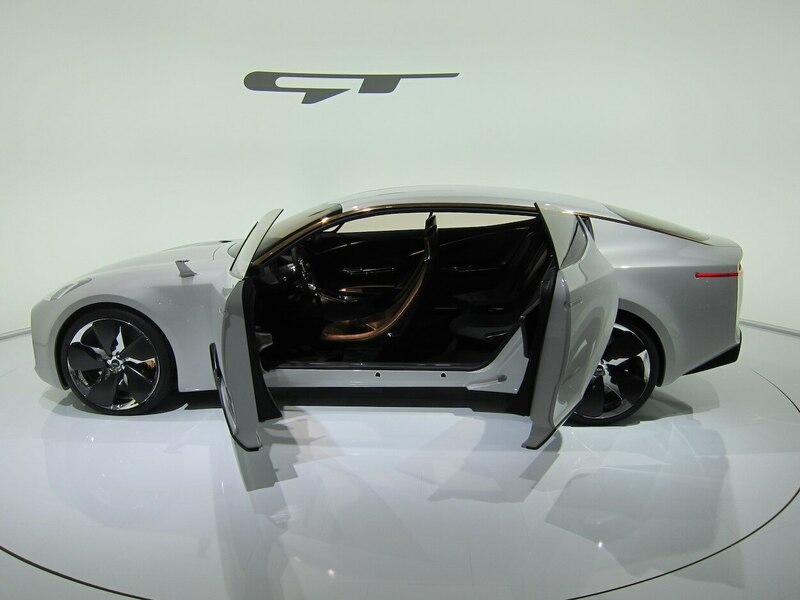 Entry into the Kia GT’s cabin is made easier with the help of suicide doors and B-pillarless body construction. 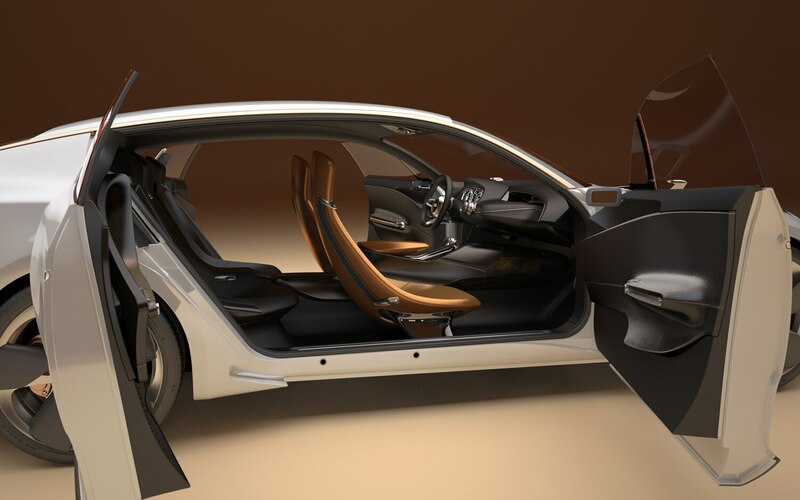 The front doors open conventionally, while the rear doors are rear-hinged and open out and slightly upward. 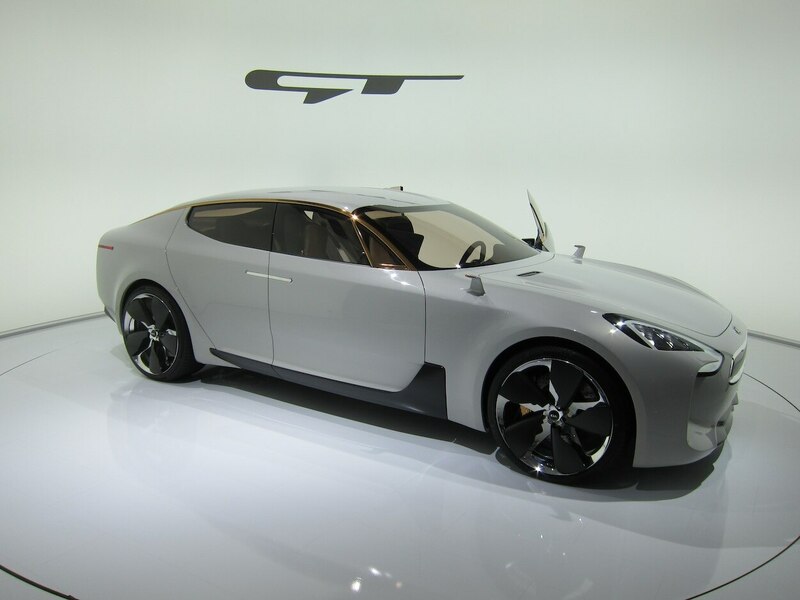 Inside, the Kia GT seats four, giving each passenger their own one-piece bucket seat. 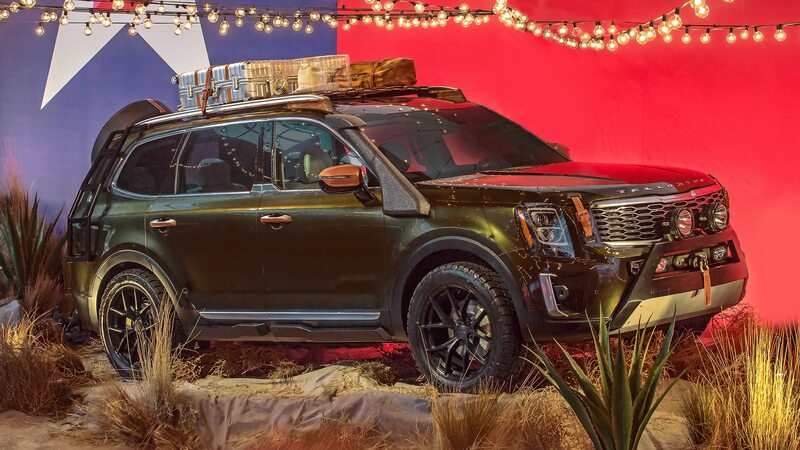 Front seat occupants get metallic-treated leather seats in a golden-brownish hue, helping to tie the concept’s copper-tone theme together. 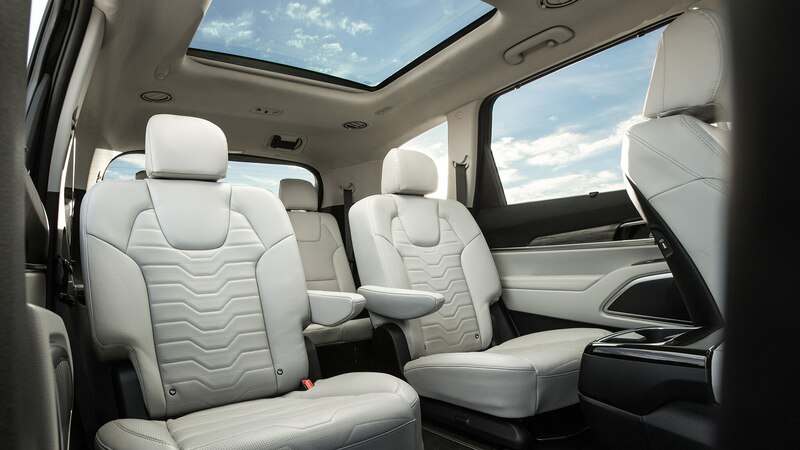 This material is used throughout the cabin, and was chosen by Kia to create a warm, welcoming interior. Kia describes the layout of the cockpit as driver-centric, and kept the number of buttons and controls to a minimum. 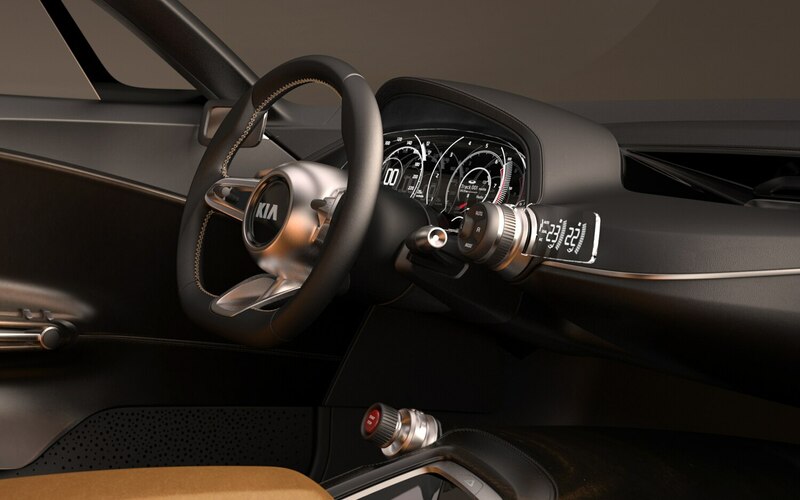 From the driver’s seat, a glass instrument panel like the one used on the recent Kia POP concept is seen front and center, while a small, concave, tri-spoke steering wheel allows the driver to control the central data display with buttons within fingertip reach. A large red ignition button does double duty, also acting as an electronic gear selector knob, giving the driver the ability to start the car and put it in gear using the same control. 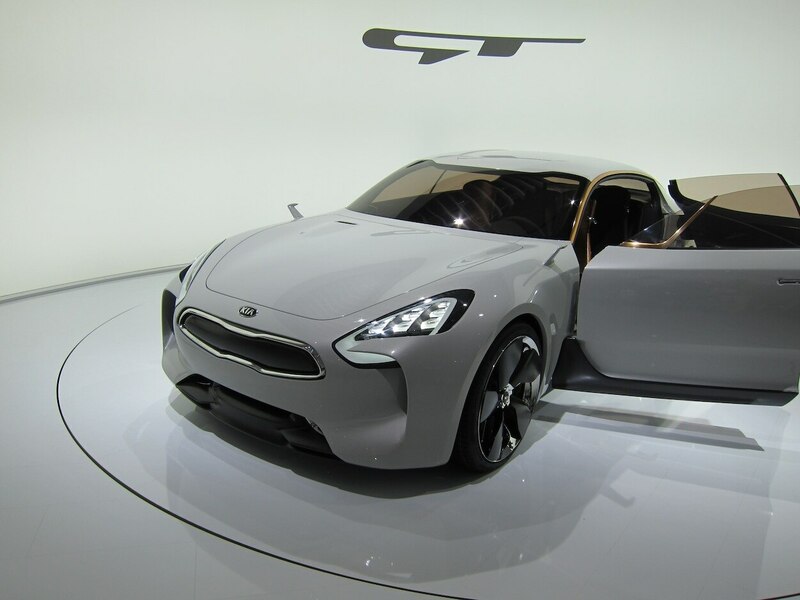 To round out the Kia GT’s driving interface, small LED screens are placed on the inside of the front doors, displaying the view from the fender-mounted rearview cameras. 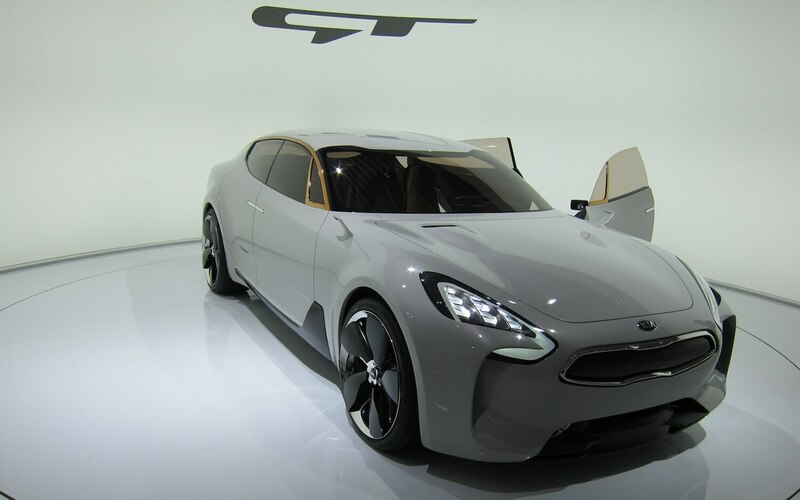 Whether the Kia GT will make the jump from concept to production car is unclear. 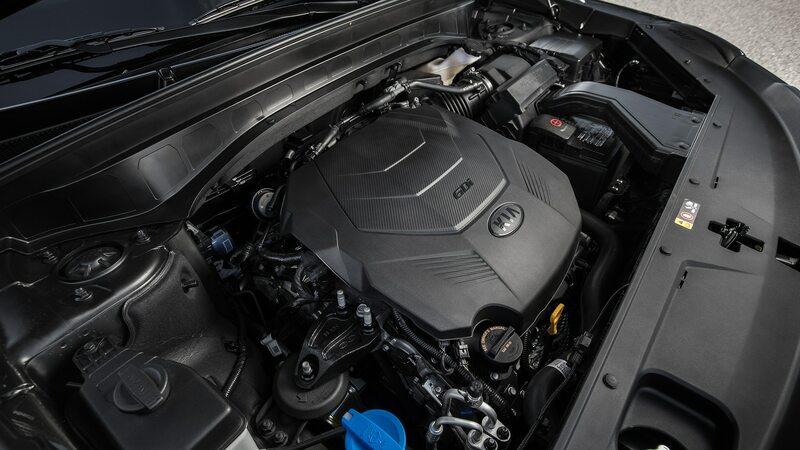 With 390 hp, a rear-drive layout, coupe-like styling, and a generally upscale interior treatment, the car could target other four-door coupes such as the Audi A7, Jaguar XF, and Mercedes-Benz CLS if produced. 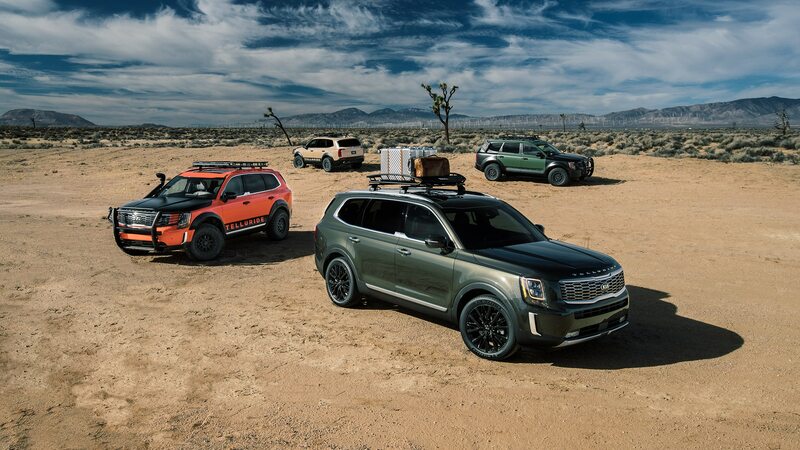 We can’t say whether Kia and its newfound styling mojo are ready to hang with the veterans of the segment, but given the Korean automaker’s quickening pace in the industry, we’d love to see it try.